Nicholas is a London-based caricature artist with over 25 years of professional experience, who has received commissions from Claudia Shiffer, Tommy Lee (Motley Crue), BBC, The Ritz, Walt Disney Organisation, Apple, Ikea, Silverstone Gran Prix, Hilary Devey (Dragons Den), Pinewood Studios and the House of Commons... amongst many others! 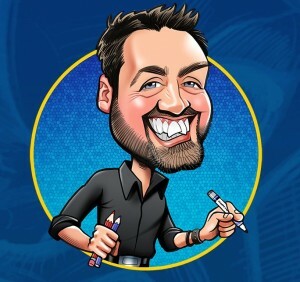 Nicholas has been freelancing as a caricature artist for many years now, attending birthdays, weddings, corporate events, parties and events of all kinds. Nicholas is also available for private commissions. He has also completed drawings ‘live-on-air’ at BBC Radio. 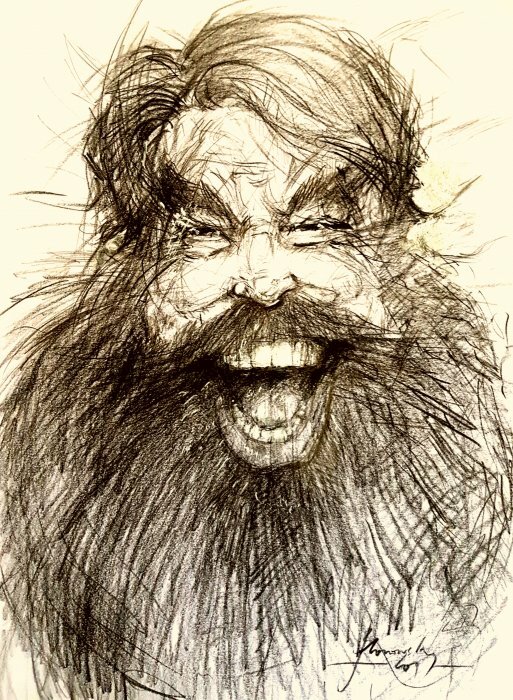 Each caricature takes approximately 6 minutes with an average of about 10 per hour. Number of Reviews and Counting... 217! 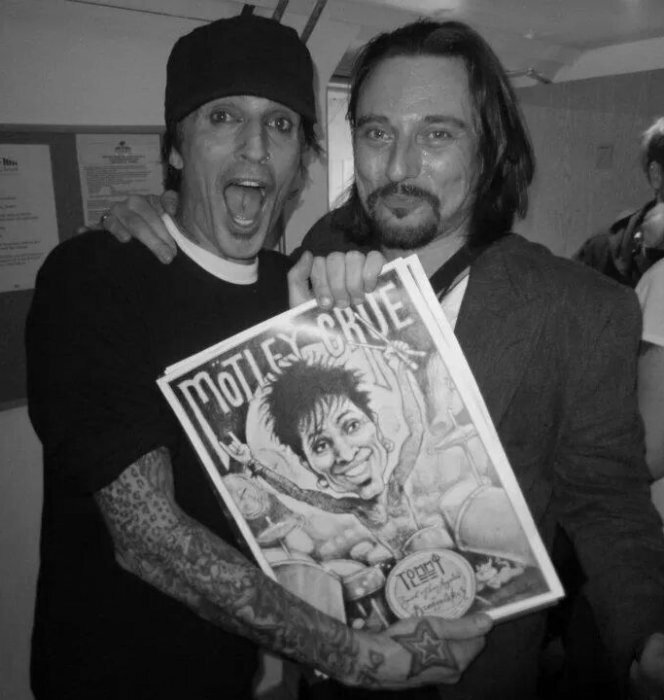 Nicholas is a London-based caricature artist with over 20 years of professional experience, who has received commissions from Claudia Shiffer, Tommy Lee (Motley Crue), BBC, The Ritz, Walt Disney Organisation, Apple, Hilary Devey (Dragons Den), Pinewood Studios and the House of Commons, amongst many others. It was a pleasure to have Nick at our event. He was very friendly, professional and drew in extra people to our stand. His work is great and everyone who encountered him had a work of art they were extremely pleased with. Thanks Nick! Such a cool guy and very talented. Made us feel straight at ease. Definitely book him again. It was for our staff party and I had a very positive feedback. Fantastic pictures, this really added a special touch to our Christmas Party. Nik mingled with the crowd, introducing his work, and encouraging everyone to take part. The pictures are lovely, and gave people are unique keep sake to take home. Very punctual, personable. We had a lot of guests and Nicholas managed to get through all of them. His sketches were good and all our guests were happy. Fantastic, we enjoyed having Nick with us. Nick was great to work with. He was enthusiastic and his art work was great. Nicholas was superb!! He was great with my guests and his work was the best. I would certainly book him again. Nicholas was friendly, professional and incredibly talented. I started the ball rolling by having my picture done and the uptake from their was constant once the guests saw the finished product. Would highly recommend him to any party. Nick was very warm and chatty and he made everyone look fabulous in his drawings. Nicholas was a fantastic addition to our Christmas party. I would highly recommend him. Nicholas was absolutely great on our wedding day - we had so many of our wedding guests comment on how brilliant his work was and how he was such a nice, chatty person too. Nicholas is a really good communicator and made us feel at ease whilst drawing our picture. We are so glad that Nicholas was a part of our wedding day and the pictures are something lovely to keep forever. Worked really well for our event, we look forward to using Nick again. Nick was absolutely fantastic, he was really engaging and everyone loved their pictures. He really added something special to our event! Nicholas was great, and lots of my guests loved having their pictures drawn... great likenesses and he made everyone feel comfortable. I had to extend his time as everybody wanted to be drawn! He was there for 4 hours and I had about 50 guests... Thank you! 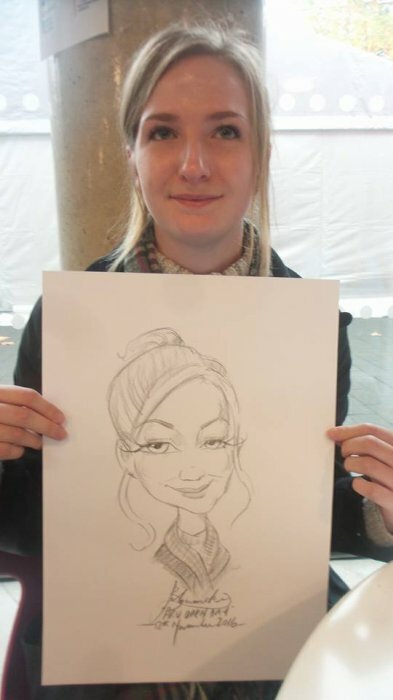 Katrina at Warble Entertainment was fantastic at finding us a last minute replacement to our booked caricature artist. She listened to what we wanted from our artist and found us Nicholas who was very friendly, professional and produced some fantastic portraits at speed. Thank you to Nicholas and Warble Entertainment for giving our guests a lovely reminder of a lovely day. Really easy booking process and lovely staff at Warble. Nick was friendly, enthusiastic, great to talk to while posing(!) and guests were very happy with their memento from our special occasion. Very nice man and guests paid him to stay longer! Just shows how much his work was appreciated. I recommend him... Hope to work with him again one day. Excellent. This is the second time Nicholas has come to our school. He was very friendly and made everyone feel comfortable. We hope to be able to book him again in the future. Nick was extremely helpful and in constant contact when planning for the event. His drawing was amazing and exactly what I was after. I would definitely recommend and use Nick again in the future. Nicholas was fantastic! Warm, friendly and put everyone at their ease. Highly, highly recommended for your event. We are keen to invite him back to our event next year. Nicholas was fantastic and everyone loved their pictures, definitely lived up to expectations and would recommend. Thank you! It was delightful to meet Nicholas and for him to be part of our summer party for staff and residents. Nicholas was happy to mingle amongst the guests and provided a complimentary picture to all of our guests that wanted to participate. I would recommend Nicholas and would definitely consider using him again. Nicholas was absolutely fantastic. His drawings were great and he doesn't just focus on and empathise an obvious (and typically disliked!) 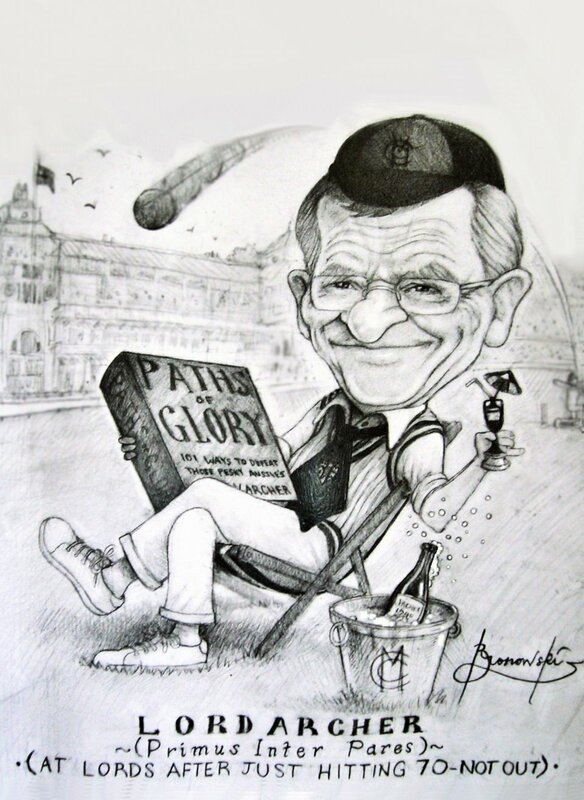 feature like most caricaturists - he makes them flattering with a genuine likeness. The guests absolutely loved their drawings. Nicholas communicated well with us in the lead up to the event and was fuss free and so nice to work with. Nicholas was absolutely amazing and everyone loved him. He was very professional and a very bubbly character. Everyone wanted a drawing, my only regret was not getting Nicholas for longer on the wedding day. I would highly recommend Nicholas because he is an amazing artist and the pictures are amazing, and he also makes you feel very comfortable when he is drawing you. Nick was a lovely man, great work and very friendly. We hope to arrange a further visit in September. We give Nicholas the highest rating of 5 because he truly went above and beyond for our guests on our special day. He was so good that some people regretted not getting theirs done. My husband loves the chiseled jawline Nicholas gave him because it vindicates the way he shapes his beard! We're already looking at commissioning him to get some more portraits done for family and friends, and he will most likely attract many more engagements during the Asian wedding season. Nick was absolutely amazing. He was so friendly and my guests loved getting drawn by him so much that they were pairing up just so they could get redrawn. Nick was by far the best entertainment we could have even asked for at our wedding. I would definitely recommend him, he went above and beyond for us and I will treasure always the drawing of my new husband and I but also the drawing of my dad and I. Nick is truly amazing at what he does and if any of my friends or family get married he will be the first person i get them to book! Your party or wedding is not complete without him. Nick was absolutely brilliant. All our guests loved him and he went above and beyond for us. Would definitely recommend and if ever needed would use him again. He is very talented and a pleasure to talk to as well. Nicholas produced excellent caricatures and all the guests were pleased with the drawings they took away. Nicholas arrived promptly and was very engaging with my guests. He did some wonderful drawings and we were delighted with them. Nicholas was a great addition to our event. He chatted with delegates freely and approached people when it got quieter. He was happy to do individual and group pictures. His pictures were some of the best I've seen with lots of detail and very flattering. If I need a caricaturist in the future, I will certainly be asking for Nicholas. Phoned on the day of requested entertainment and hoped for anything decent . Was absolutely astounded with the response and the service received! Had it all booked and received best service on the day of enquiry. Will definitely use again! Cheers Matt! Nicholas was fabulous caricaturist. He has excellent people skills to work with guests and families. His caricutures are very good. I would recommend. Thank you Nicholas for making my 40th a special day. Nicholas was great and our guests really enjoyed his work. The booking process was quick and easy. Thanks! Nicholas was fantastic and created some lovely masterpiece memories for all guests at our Christmas Party. We would highly recommend him. Nicholas was superb and great with our staff. He was an absolute hit and everyone left proudly clutching their drawings.. I would recommend Nicholas for any event. Ours was a Staff Christmas Party and his attendance was a great success. Nick was a 5 star act. Every one was very impressed. Nick certainly went the extra mile and my nephew Ronny was over the moon and enjoyed the chance to work along side Nick even though he is only 7. Nick can see great protential. Julianne, family, friends, Mum & Dad, we cant thank Nick enough. He kept every one highly entertained and few people had never seen such art work so true to life. Thank you. Nicholas was excellent and everyone had loads of fun. Thank you! Nicholas The Caricaturist did a fantastic job at our first business event. Everyone who walked away with an artwork was absolutely thrilled and the resemblances were uncanny. We would love to have Nicholas join us again at one of our future events. Thank you! Very pleasant manner and pleasing sketches. 5 out of 5. Nick was brilliant and the guests loved his pictures. He was very easy to deal with and we will highly recommend him in the future. He exceeded expectations. Nicholas was amazing, so kind and friendly! Very professional and punctual and his artwork was superb. Couldn't have asked for a better caricturist, would definitely hire him again! Lovely man, great pictures. Would book him again! Nick was an excellent act. Polite and punctual he added a lot of value to the evening. Very professional and talented. Nick was absolutely wonderful. He was in huge demand and he had a constant stream of people waiting. Thank you so much. Nicholas is fantastic and brilliant with guests. Booked Nicholas for my wedding reception and the guests loved it! It was an absolute pleasure to have had Nicholas at our wedding. He really made the day that extra bit special. All of our guests that were drawn by Nicholas were extremely impressed. I was pleasantly surprised by how many guests he managed to draw in the 3 hours that he was with us for - and yet his pictures were amazing. I would highly recommend Nicholas and would gladly use him again in the future. 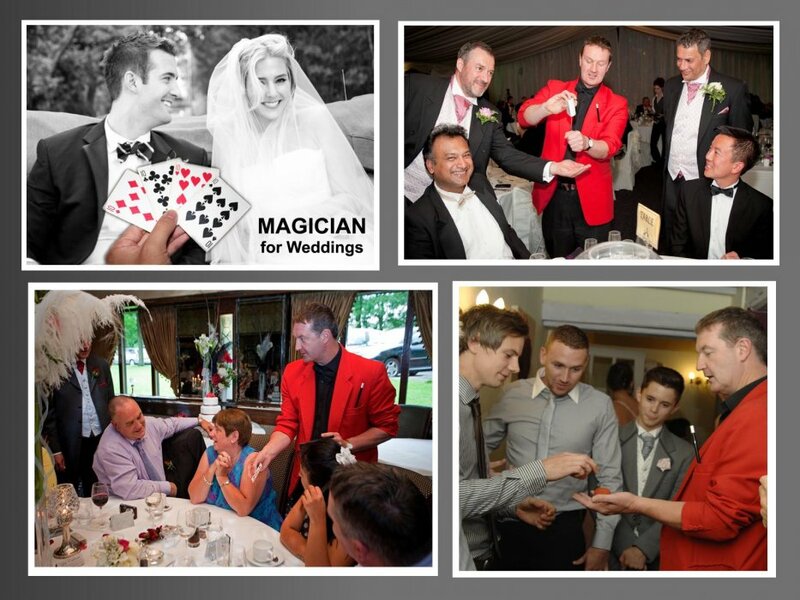 A great entertainer and a very skilled artist - friendly and fab with the clients. Would definitely use again! Very quick and easy booking process; both the Warble agent, Jodie, and the act Nicholas were very efficient and friendly. A great addition at our corporate summer party to loosen guests up and we would definitely use again! I had a wedding on Saturday and I thought I would leave feedback as I was very impressed with Nicholas, the drawings were fantastic and our guests loved them. Warble as a company were very friendly, helpful, organised and I thought it was worth the money as people loved his talent and got to keep their pictures. Also, he did quite a few in the time he was there so lots of people went home with pictures so I was very happy with him. Thanks for everything. We were absolutely delighted with Nicholas and his work and the kids were queuing up!! Thank you so much for providing us with him. It really helped to keep the kids occupied and calm. I booked Nicholas for my wedding, he was very popular with my guests. He was also very friendly and the pictures were brilliant! Nicholas was professional, arrived on time and his work was great! I would definitely book him again! Nicholas was professional, good pre-event contact, turned up on time and did a fine job. Nicholas was great, he contacted me before the event to confirm everything and everyone seemed to love their drawings on the night, especially the kids. I would like to thank Warble Entertainment for providing us with the services of Nicholas The Caricaturist. The service provided by Warble was very good and prompt and the services provided by Nicholas was Par Excellence. He is a lovely person to work with. He interacted with the guests and made them very comfortable and made the entire sitting for the portrait very enjoyable. I would use his services any time again if the need arises. 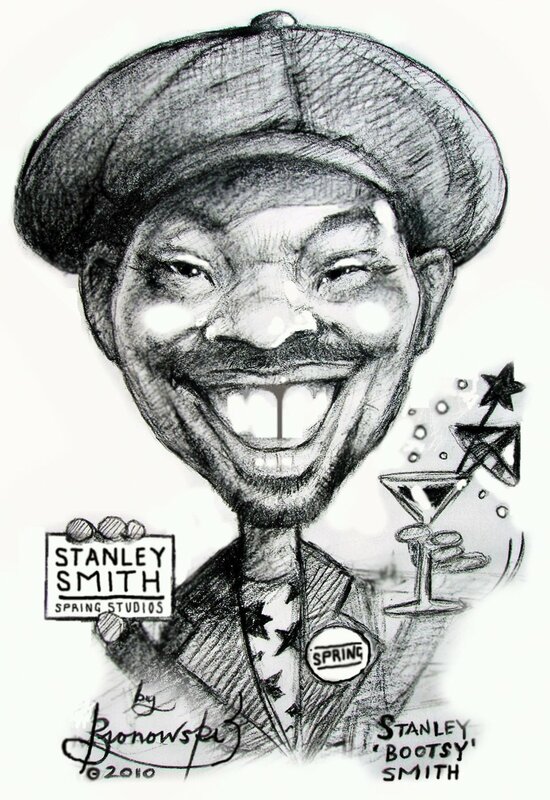 My highest recommendation for his services to any one looking for a caricaturist. Excellent as always, a credit to the company. Turned up on time and cracked on with it, no fuss. Our guests were amused and enjoyed having souvenirs to take home. Good stuff. Nicholas The Caricaturist was thoroughly professional (even down to the pre-event contact) and very talented. He worked non-stop and his subjects were put entirely at ease by his pleasant manner. I and all guests were delighted with his sketches. Would highly recommend him and perhaps the highest praise I can give is to say that I wish I had booked him for longer! And just to add that I thought that the way Warble Entertainment handled the booking was also highly professional and made it very comfortable for me to arrange. All highly recommended! Nick was great, he interacted really well with the guests and made them laugh which was great. He's very talented and we highly recommend him. Nicholas really engaged with everyone he drew and our visitors really enjoyed having a caricature to keep from their day. We will be very happy to work with Nicholas again. Nicholas was fantastic! It was a real pleasure to have him at our event and his phenomenal work made the whole evening so special to all our guests. Thank you! Nick was amazing! He drew such flattering pictures, not nasty at all and was very flexible when I had to change booking 1 day before the party. Highly recommended and I would definitely book Nick again. Thank you to Nick and Marilia from Warble for being so amazing and making the process so easy and stress-free! Nicholas was absolutely fantastic! We had a queue of people waiting to have their pictures drawn and everyone commented on how good he was! He was very friendly and professional and has a real talent! Will definitely be recommending him! Nicholas was excellent. He was charming and produced some great pictures and we will use him again. Thank you. 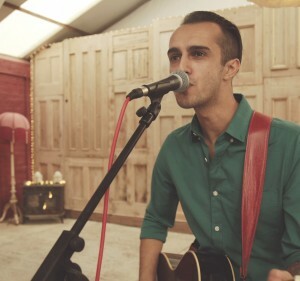 Nick is a great entertainer and is a wonderful addition to any event. This is the second year that i have booked him and I will definitely book him again. I booked Nicholas as a Caricaturist at our company Christmas Party. He arrived on time and was busy from the moment he set up! He put all our staff at ease. Our staff loved his work and our CEO even has a framed copy of his artwork now in her office! My only disappointment is that I didn't have the opportunity to get my own picture done. I wouldn't hesitate to book Nicholas again and highly recommend his work. Thank you. I just wanted to than you and Nick for his attendance at our party last night – it was a HUGE hit with our staff who were queuing up to get a picture from him!! Everyone was absolutely thrilled with the images he produced. I’m only disappointed that I didn’t get the opportunity to get a picture done of myself!! I would definitely recommend Nick and would happily hire him again for our next company event. Please pass on our thanks and appreciation for making our Christmas party so special. Great to deal with you at Warble and hopefully we’ll work together again at some point in the future. Nick was fantastic, so easy going and talented. Worked solidly and the guests really enjoyed the experience. A real professional. Thank you so much. Artist with a gift. He did a great job at our Xmas party. Total thumbs up! The team at Warble were very helpful and quick to respond to my enquiries, payment was easy, and I received good communications in the lead up to my event. 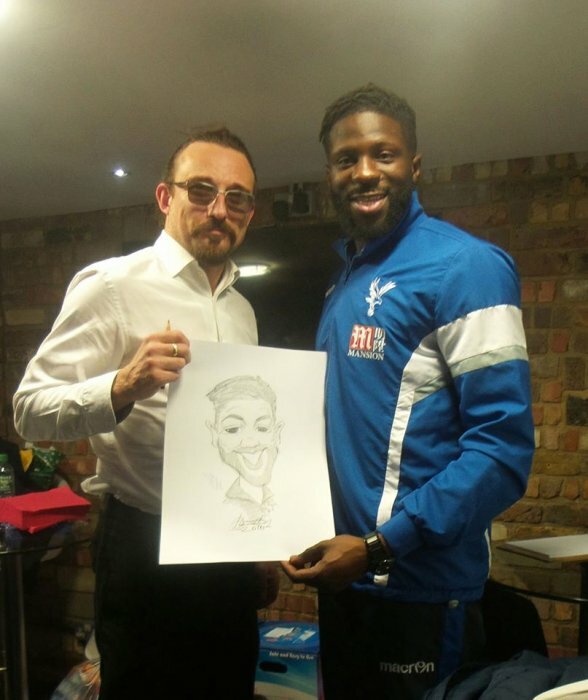 We were absolutely delighted with Nick The Caricaturist who added an additional fun element to our party. He was very personable, polite and prompt - and his drawings were fantastic! Thank you, we will definitely use Warble in future to book our event entertainment. Nick is a very talented man. He has a really nice way with people and he will proactively seek out people to draw. We have had him twice now for our open days and both times I have been really impressed with his work and the service he has given. I will definitely be booking Nick again! Nicholas was an absolute star!! He was very professional and everyone loved his work. I would definitely book him again. 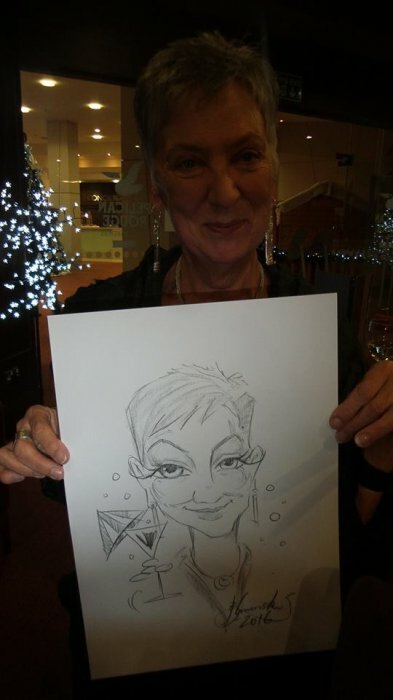 Nick was excellent - fitted around all our guests, who all thought the event and their Caricatures were great. Nick was a joy to work with - very professional and i would highly recommend and work with again in the future. Many thanks. Fantastic! Will definitely book Nick again. Nicholas did a great job as always at our event! As ever, Nick was great! 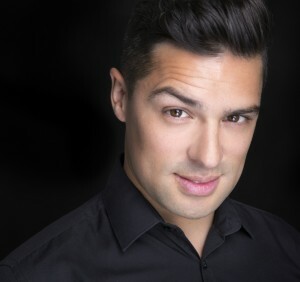 This is the 3rd time we have been lucky enough to secure a booking with Nick! Will definitely be trying to book Nick again in the future! Great guy, great pictures!! What a superstar! 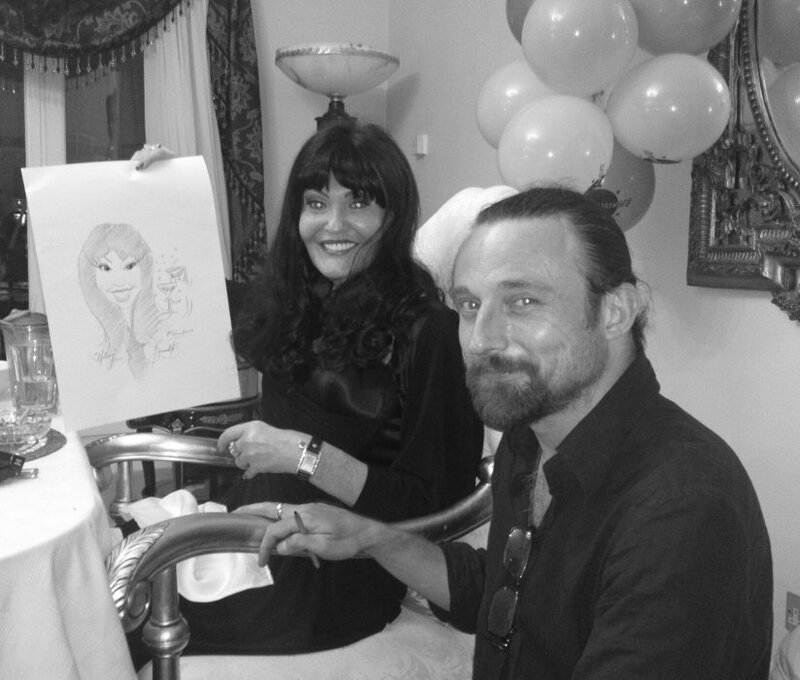 Nick was great and everyone had a great time and loved having the chance to have a caricature drawn! I cant fault any of it and hopefully have rated the highest number! Nicholas did a great job at our event yesterday. Nicholas was fantastic - our guests loved him and his sketches are very complimentary. Even the children sat still for a sketch! Nicholas did a great job at our event, everyone attending enjoyed it. Really nice guy who went above and beyond. Great momento for everyone to take home and keep as a reminder of the day. Really friendly and fantastic service. Worked non-stop to draw as many people as he could. Everyone really enjoyed it! Many thanks! I thought Nick added something quirky and unique to our very traditional asian mehndi party for my brother. He was very popular with guests and everyone who had a sketch done was very happy to go home with a little keepsake. Was such good value for money as well! Nick himself was extremely humble and warm and was able to mingle happily without any babysitting from me! Whilst I don't think I will ever host a party like this again, I would definitely recommend him to anyone I know who faces the same entertainment dilemmas. Thanks Nick! You rocked!!! Nicholas was very friendly and had a good response from my guests, everyone was pleased with his work. I highly recommend! Hi, Nicholas the Caricaturist was great!!!! Everyone loved his work I just wished I had booked him for longer. Thank you. We have used Nicholas for the past 3 years at our Awards ceremony and he was great again this year. Nick was incredible. 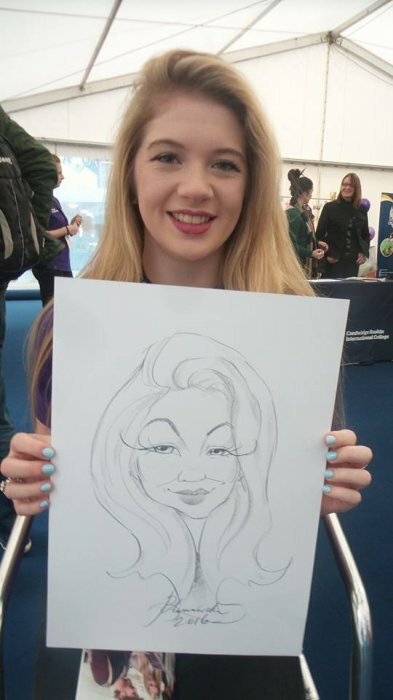 Being able to offer a free caricature to many of the students at our event was a brllliant momento of an amazing day. As this was the first time we had ever provided this, I'm pretty sure it will be a regular feature for events to come! Thank you Nick, on behalf of all involved in our event. Nick arrived early to the event, and took the care to call me beforehand to confirm all booking details were correct. Nick made a point of mingling with guests to get them engage and participate in having a portrait drawn. Nicholas was a great asset to have on our exhibition stand. He was punctual, personable and his caricatures were fab! He was great, and all customers truly enjoyed it. We will definitely use him again for upcoming events. Nicholas was a great asset to our exhibition stand. He arrived promptly, dressed for the occasion and interacted well with the guests. Massive thank you – Nicholas was fantastic, all my guests loved him and he’s got a superb talent - on top of that he’s a really nice guy. I will definitely use Warble Entertainment in the future, the process to get everything booked was quick and easy. Thank you once again. Lovely and very talented man. Worked continuously and kept a lot of people interested in what he was doing. Would most definitely book him again and recommend him to others. Lovely guy and very professional, worked well with the public and wouldn't hesitate to book again for future events. Was very approachable and flexible with timings. What a brilliant man, he did a great job. So impressed and I would hope to use him again! We loved him and our guests loved him!!! Sooo professional and lovely! And great pics - would hire him again!!! Nick was outstanding! He was brilliant with the crowd and made the people being drawn relaxed with his humour and chat. Would definitely recommend him. Nick was awesome! Really engaged with the people by bringing them to the stand, getting them to relax whilst being drawn by his humour and great chat. Would absolutely recommend Nick again. Efficient, high quality. Would highly recommend. Nicholas was prompt, friendly and his caricatures were great! So many people said it made a great addition to the evening. Thank you! Nick is a very charming, professional and talented artist. He worked very hard the whole evening ensuring everyone was happy. We just wanted to thank Nick for making our day even more special. The guests thought your pictures were wonderful and everyone has bought frames and put their pictures on their walls.I would highly recommend him for your event, you won’t be disappointed. Thank you Nick. Not just an amazing caricaturist but a really lovely guy as well. Family and friends alike had great fun and Nick made them feel at ease with a great sense of humor. Highly recommend him to have at any function and will definitely use him again!!! Really nice guy, went down well with the guests and Nicholas did his best to get as many caricatures in as possible. 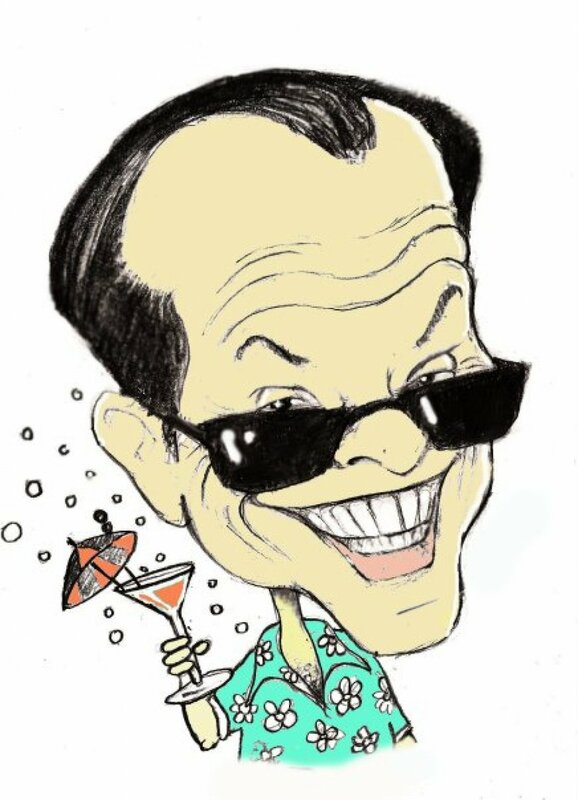 Nick was very professional and completed many caricatures for my guests. Nick was polite and pleasant and engaged with guests well. My event was home based but still had in excess of 60 people and I think we managed around 30-35 caricatures. Nick was a wonderful addition to our children's Christmas party. He was great with both the adults and the children who were equally demanding. He worked well under pressure and always had a positive attitude. His work was excellent and made many guests extremely happy. I would not hesitate to book Nick again. It was one of the highlights of my wedding having Nicholas there. He has has a great personality and entertained the guests extemely well. It was something different and everyone loved it! Nicholas was amazing! We loved having him at our wedding and his pictures are fantastic! Great drawings and a lovely guy! Everyone loved the caricatures they had done. Nicholas arrived on time and was polite and worked well with everyone. We had such a great day and everyone loved their pictures! Will be sure to book again. Nicholas was amazing! He fitted in well with our party and his drawings were extremely accurate and funny. Nick was great! Really chatty and kept people entertained whilst they were sat for drawings. His portraits were fabulous and he was a great addition to the day. Definitely would recommend! Nick was absolutely brilliant. He was at the venue on time and left slightly after his finish time. Nick worked really hard to capture everyone exactly how they wanted and spent a lot of time chatting with all the guests and making them feel comfortable when being drawn. A huge thank you. Nicholas was amazing! He dealt with our chaos and everyone was so pleased with the results. He really has a great talent and wonderful way with people. Thanks Nicholas! You were splendid. Nicholas was amazing... charming, smart and we were so pleased with him. We would highly recommend him. Nicholas was very friendly and everyone was impressed with the drawings and loved the idea. Really good night and he was great. Great guy, great drawings, very happy customer - Thanks! One of the nicest and most talented guys I have ever met. Would highly recommend to anyone! Made our day really good. Nicholas was amazing! I proposed using one of his drawings. Nick found a perfect spot and provided rough sketches before hand to make the experience as perfect as he could. We will be booking him again for our wedding to bring part of the engagement weekend to the day. Couldn't fault him, very nice guy :-) Danielle was very helpful in finding a caricaturist for this date, she struggled at first but it all came through in the end! Very happy with the service and would use again! Nicoholas was brilliant. Everyone was so impressed by what he did and loved being able to take home a souvenir from our wedding. He was polite and came and wished us the best before he left and overall was a great guy. Would highly recommend. Nicholas was brilliant and a great hit with all the party goers. None of them had ever experienced anything like this before at a birthday party and I'm not sure how many Nicholas managed to complete, but it has been the talk of the evening and one that my son and his friends will remember forever of his 18th Birthday with fond and lasting memories. I am so pleased I booked Nicholas and would recommend him to others for a lasting experience. 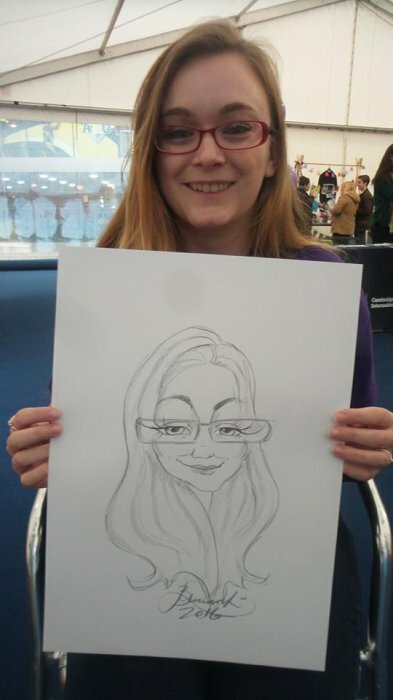 Everyone was so helpful in finding a caricaturist for our event at the last minute. Nick was even better than expected and made our event stand out! He was great! Nicholas was great fun to have at our event and everyone really enjoyed getting involved and Nicholas made everyone feel at ease and the results were great on every picture created!! Nick was great with my guests and his portrait style drawings were very good. Fantastic! Everyone was very pleased and impressed with the caricatures. Nicholas was fun to work with and very professional. I would not hesitate to work with him again and will be recommending him to friends and colleagues. Nicholas was punctual and professional. His drawings were great and our clients enjoyed the experience immensely. Thanks, Adrian. Very nice guy, he was on time, well presented and did a great job! Nick was lovely all our guests were thrilled to be able to get a personalised picture he added some extra sparkle to our special day!! Nicholas was extremely professional. Nice drawings. Everyone seemed to be having fun with it. He didn't stop one minute in the two hours he stayed with us. Many thanks! Absolutely fabulous and thoroughly enjoyed by all - will definitely rebook. Nicholas was fantastic!!! He was a pleasure to work with and the public loved him. We are looking forward to booking him for future events. I would also like to thank yourself for all your help and support and making the booking process so easy. Nicholas was friendly, helpful and a pleasure to have at our event. He was very good at what he did, and didn't make fun of people, but rather made them look like cartoon characters of themselves, which was great. He is a very polite young man, who is extremely talented, and I will definitely chose him again, should the occasion arise. Great job, good party. Thanks. Nicholas as great with our young students. Drawings were great and exactly what we were after. Nicholas was punctual, easy to deal with & did a great job. Nicholas was extremely personable and efficient and was able to cover everyone at the party all of whom left with a flattering caricature of themselves. Just a few lines to thank you for helping to make our wedding day at Kimbolton on 4th September such a happy day and successful occasion. It was great to see you at work and to have the chance to appreciate the results of your work. Once again, many thanks! A big thank you for Friday night, everyone really enjoyed meeting Nicholas and having their pictures drawn and I have received comments on how good and friendly he was, so again a big thank you from us. He was excellent - a pleasure to have around and a very talented artist. Just wanted to say thank you to you and Nick for making Saturday a success. The whole process from booking Nick to his arrival was seamless, which was great. Nick stayed in contact a couple of times before the event which was great also. Everyone did comment on his drawings and how good they were. Something different for the party which was good. Thanks again. Hi Charlotte, Thanks so much for your email. Feel free to give this feedback to Nick, or use it on your website. Nicholas’s caricatures were excellent! Everyone loved them! Not only were his drawings amazing but he came on time, was really nice and friendly and put everyone at ease. 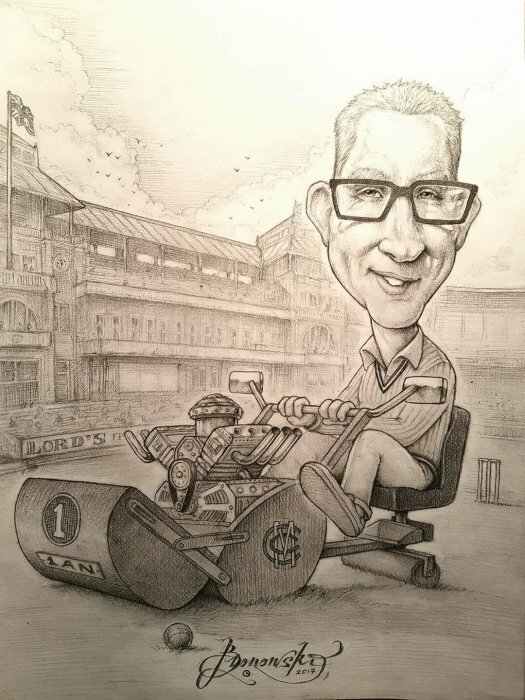 He was great value for money - I would absolutely use Nick again and recommend him to anyone else that needed a caricaturist! Thanks again. Nicholas was a lovely guy, very easy to have at the party, he stayed a long time and made a good effort with the children that there were, and then our guests when asked to circulate. Nicholas arrived punctually and worked consistently for the full 2 hours. His work was professional and kind in its interpretation. Would recommend. Super! 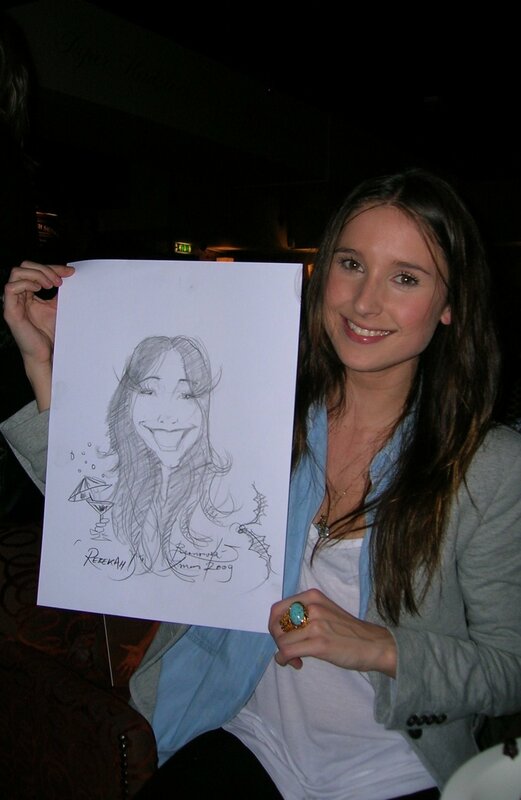 Great caricatures, very friendly & on time! Many thanks. Nicola was very helpful and efficient throughout the process which made it very easy our end and the booking process itself was very easy. As for Nicholas he lived up to expectations and he seemed to be very well received. As my baby girls 1st birthday was organised in a soft play environment I believe not a mascot, a magician or even a balloon modeller could have made my girls birthday fabulous and more entertaining than a caricaturist. Thank you to Nick who was amazing - all our guests loved their drawings and thank you to Ben for arranging Nick to come and entertain our guests. It was truly a big hit most kids and adults went home with great pictures. Your service was great thank you so much and will be in touch again in the future. Just had an email from the client - she's very pleased and apparently it was a great night. Thanks a lot for your assistance and service levels. Lovely guy. Did some very kind caricatures. Was prompt and happy to accommodate requests. Nick the caricaturist was wonderful at our small wedding reception we had in Battersea, London. He arrived early and was professional throughout. He had run out of time towards the end, but thankfully he decided to stay later than expected, until he was able to do a drawing of all our guests which was lovely of him to do. The quality of his drawings was fantastic and all our lovely guests were very happy to be able to take these away with them as a souvenir of our wedding day. I would definitely recommend nick to anybody. Very nice guy, every body enjoyed him, in fact some people said they would book him for events. Thank him for us. Thank you Nicholas for your hard work and entertaining our guests. Nicholas was brilliant! The caricatures he provided were spot on and it created much laughter during the evening. He was on time, very polite and drew as many people as possible so that everyone walked home with a caricature. We definitely recommend Nicholas! Oh and thanks to Warble, too, the whole booking process was easy and very professional. Thank you! Brilliant! Nicholas made everyone feel at easy and his drawings were very flattering. Thanks! Nicholas was extremley professional, friendly and talented. Everyone commented on the standard of his drawings and how comfortable he made them feel. We will definitely come back next year! Thank you also to Ben who was an excellent point of contact during the booking process. Happy Christmas!!! Excellent, very professional fantastic drawings. Very good feed back from all mess members. A 100% recommendation from 10 QOGLR. 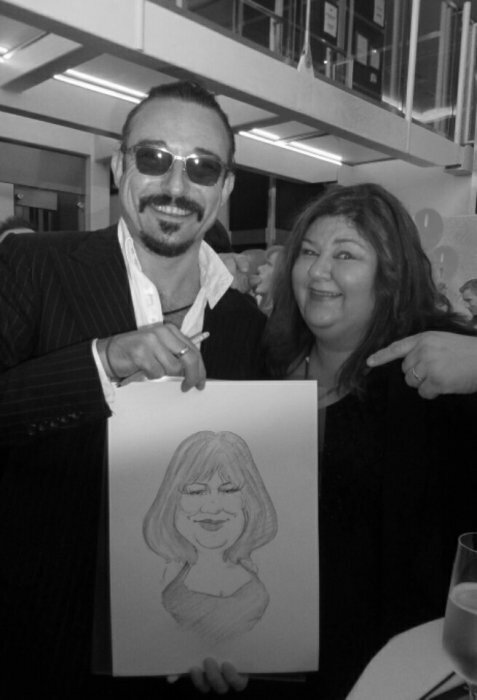 Nicholas is a fab Caricaturist and was an excellent addition to our Work Christmas Party. Our office is relocating next year and so we will be taking a copy of each sketch to create an artwork to include on one of our new office walls. Everything was very professional with prompt replies and a very easy process and Nicholas was fantastic! Such a kind man and the guests loved him - he helped us raise £152 for Great Ormond Street Hospital! 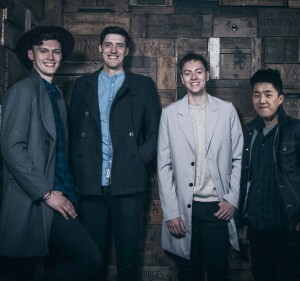 We will definitely be booking Nicholas in the future and using Warble for any entertainment we may need. Thank you all! I didnt even know Nicholas was there. He was part of the event, and excellent, calm, really good guy. Everyone loved their pictures, he put everyone at ease, proof is that my guest were queuing up!! A great choice! He was well received, on time and will certainly consider using him and Warble again. Nicholas was fabulous! He did a great job at our Year End party and it was a fantastic addition to our evening. I would definitely recommend him! Thank you so much. Nicholas was very punctual and seemed to build a nice rapport with our staff members. Everyone enjoyed it and loved the pictures too. Lovely friendly guy, everyone enjoyed their pictures. Nick was very patient whilst waiting for us to get our photos together. The job was a large family caricature as a present. He completely understood the brief and created a perfect drawing with exactly the genre I was looking for. I only needed one draft and the final was perfect. Thank you Nick! Great fun, everyone enjoyed the caricatures that Nick did immensely. Added to the fun of the day. Great success! Nicholas was perfectly on time and was very professional. Everybody really liked the portraits that he drew for them and have hung them in the office proudly. Nicholas was wonderful! Should we need a caricaturist again, we would definitely choose Nicholas. We will be recommending him to our friends for their events. Thank you very much. Nicholas was great and the client was really pleased. Thanks! Nicholas arrived on time, was very friendly and did some good sketches for as many people as possible. Very nice, talented caricaturist. Would recommend. Thanks! The entire process was swift and smooth. Very happy with Nicholas, the staff loved him. Thank you very much. We will be using again. Nicholas was fantastic last night and really entertained our guests. I highly recommend him. Thank you! A great service from Warble, and very easy to work with. Nicholas was so accommodating and everyone loved their pictures. Thank you. Nicholas was great. Should we ever have another office party along the same theme, we shall definitely be booking him again. Many thanks to Nick, who arrived promptly & really worked hard! Kids loved him. Very nice guy, everybody was really happy with their drawings - thank you!!! Nicholas did a fantastic job at my 21st and proved very popular with all the guests. Warble were very helpful and quick with the booking process and with answering any queries. Thanks to Nicholas and Warble! Nicholas was brilliant! He had to put up with approx 40 teenagers which is not easy. He kept me in touch so I was not worried about him not coming and the kids loved the pictures (so did I) - thank you for making the difference. Thanks so much for finding us someone at such short notice. Everything was handled seamlessly and Nicholas the caricaturist called me on the day of the event to confirm he was coming which was very welcome. Nicholas turned up promptly and was very good with kids and adults alike. It was perfect entertainment for our mixed group. Thanks again to all. A nice man who enterained everyone. Well done! Thanks for the caricatures at our awards dinner! Nicholas was very well recieved and was great to work with..
Hi Nicholas, I just wanted to follow up and say thanks for Friday. The guests enjoyed the caricatures very much! 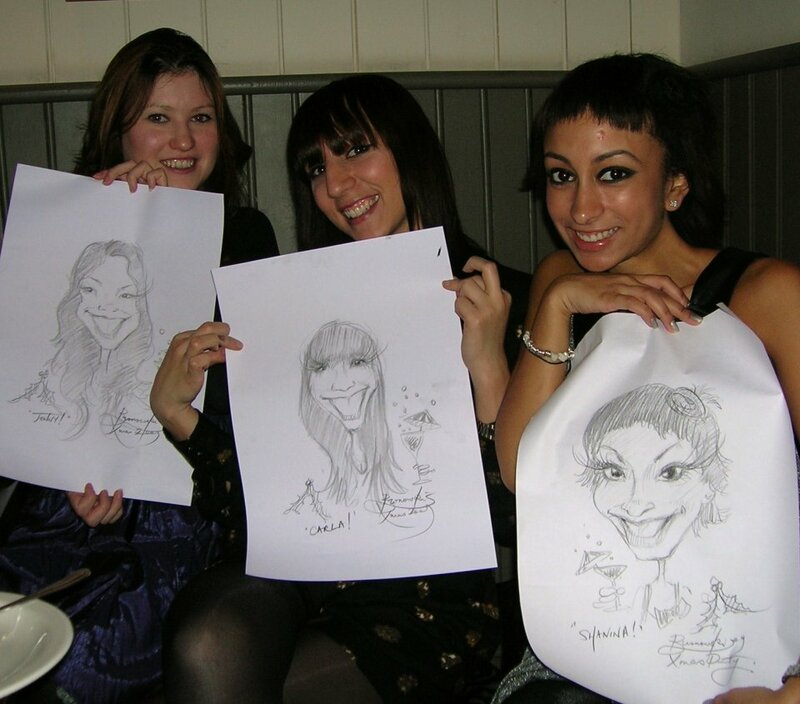 The guests loved their caricatures, definately a great ice-breaker at a party. Nicholas was great around the party and it was good to see the guests with a momento of the evening. Thank You. Nick was great and I hope he enjoyed himself as well. We now have a treasured caricature of myself and my wife on her 50th birthday!! Very good and helpful, all the customers loved him and their drawings. Will definitely book again. Hi Marie, we all found Nicholas to be approachable, friendly and absolutely brilliant. We appreciated his efforts in the midst of the chaos of the very loud event and everyone found the drawings to be truly marvellous. Thank you. Claudia Shiffer, Tommy Lee (Motley Crue), BBC, The Ritz, Walt Disney Organisation, Apple, Ikea, Silverstone Gran Prix, Hilary Devey (Dragons Den), Pinewood Studios and the House of Commons... amongst many others! 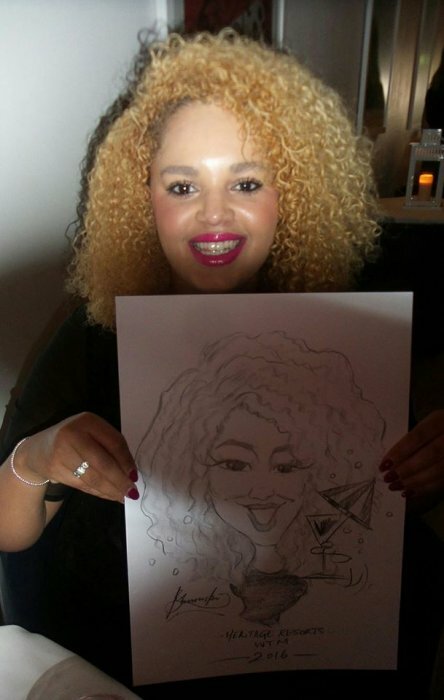 Customers who have enquired for Nicholas The Caricaturist have also been interested in the following Caricature Artists who are also available in London and in the South East. For more information or further options, please call 0845 643 9384.